The Complete EF Curriculum is the best value! 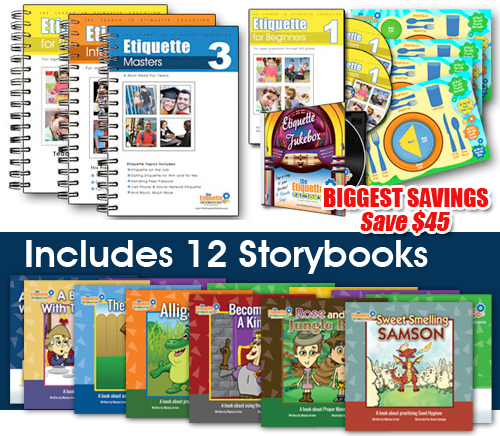 It includes the 3 Phase Learning Program and the Etiquette Factory Storybook Series (12 storybooks in all). 11 Storybooks are ready to ship direct to YOU, and the remaining book will ship out by September 30, 2018. The 3 Phase Learning Program is designed to educate, inspire and motivate children, ages pre-school through high school, in the art of etiquette. The Etiquette Factory storybook series is dedicated to helping children master the art of proper manners and social skills through fun exciting stories with heartwarming and sometimes mischievous characters. These stories and characters will soon be favorites by adults and children alike. At the end of each storybook, is a few questions that allow parents (or teachers) and children to discuss the meaning and message of each story. Take the time to answer these questions and witness the rewards and understanding that come to your children. Manners are essential to ensure your children's success both personally and professionally. It truly is the medicine for a happy life. 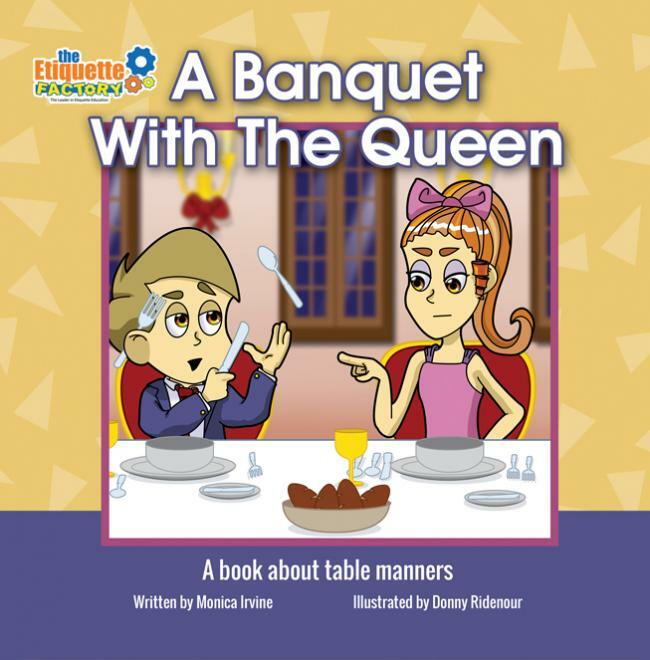 A Banquet with the Queen - A book about table manners. 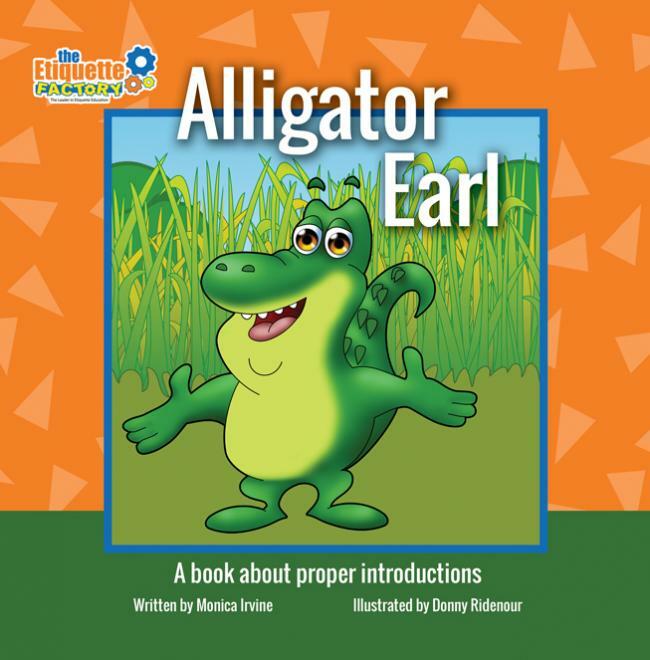 Alligator Earl - A book about proper introductions. 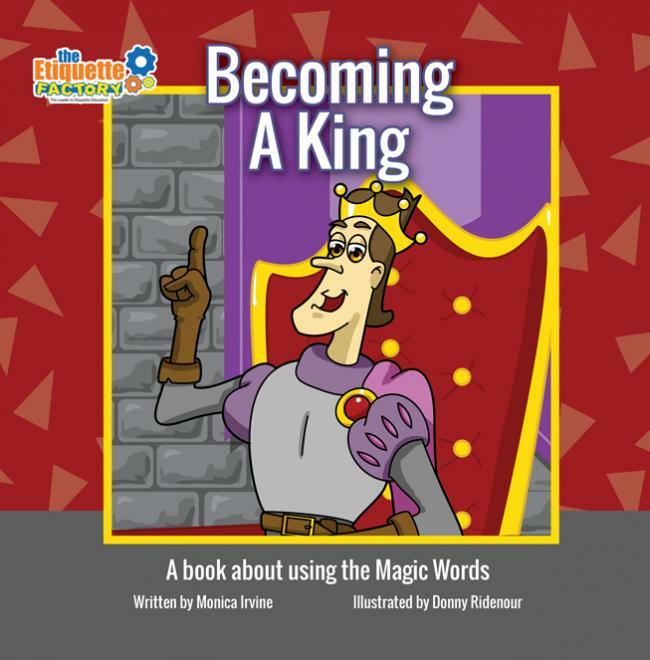 Becoming a King - A book about using the Magic Words. 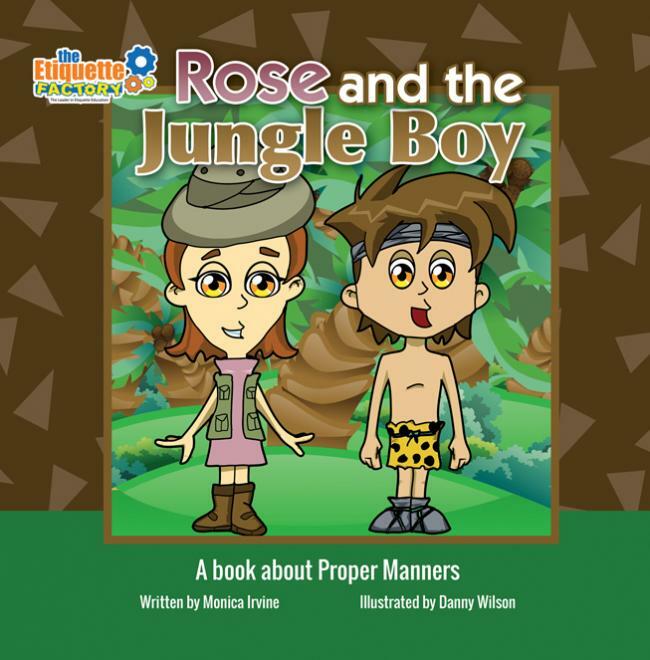 Rose and the Jungle Boy - A book about Proper Manners. Sweet Smelling Samson - A book about practicing Good Hygiene. 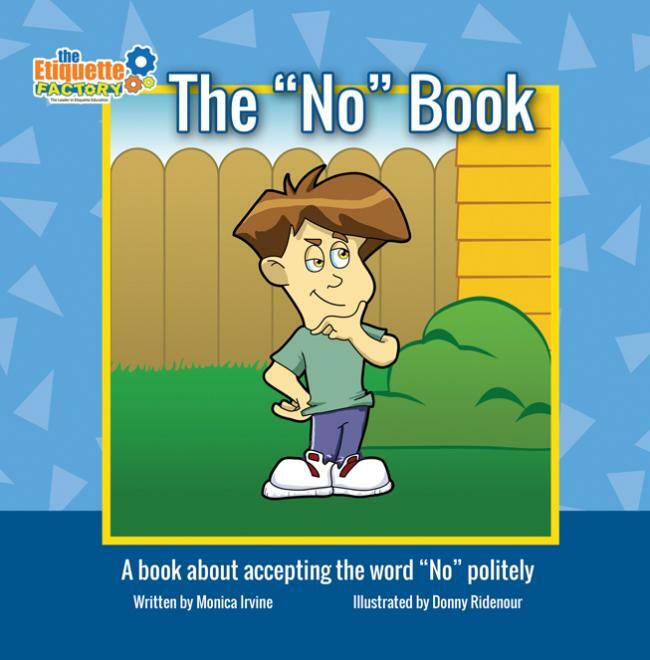 The NO Book - A book about accepting the word “No” politely. Where's Buck?- A book about Kindness. Sharing is for Everyone- A book about Sharing. One Messy Pig- A book about Cleaning Up After Ourselves. The Little Angels- A book about being a Polite Guest.